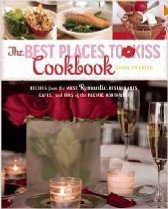 The first edition of the Best Places to Kiss Cookbook is out and our Oregon Coast B&B is featured with our very special Sandlake Country Inn Cookies! If you've ever stayed with us, you know how wonderful these cookies are. The recipe has been handed down from the original innkeeper, Margo Underwood which she originally titled "sleepy time cookies". They have been served at our Oregon bed and breakfast for 20 years now. I've been looking at some of the other recipes in the book (I just bought the book a few days ago) and there's some interesting recipes in there. Who knows, maybe I'll try out a few on you! Of course, we have our own special recipes I've developed over the years, but I just love surfing the internet, tv and books for new, fresh ideas. Usually I will make the recipe once, following the recipe, then watch out! I love putting my own twist on things. If you're an aspiring innkeeper, be sure to pick up this and other B&B cookbooks to test out the recipes on your family and friends. Or better yet, come on over and I'll make it for you. The new 10th edition of this wonderful book is now available. Once again, Sandlake Country Inn has claimed their highest rating of "4 lips - Simply Sublime"!! Best Places to Kiss in the Northwest takes their lips rating very seriously. We are 1 of only 2 lodging places who have attained this rating on the Northern Oregon Coast. In the late 1990s, a film crew came to Sandlake Country Inn and filmed half of a 30 minute program for The Travel Channel titled "Best Places to Kiss in the Northwest". This program ran periodically on the Travel Channel for 5 years. It's no longer shown on tv, but we have the video available in our movie collection if you'd like to view it during your stay with us. 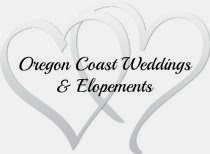 We are honored and privileged to have many honeymooners at Sandlake Country Inn. One of the many wonderful aspects of our lives as innkeepers is some of the wonderful relationships we make. 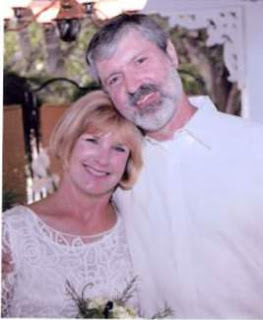 Meet Steve & Tonya Eisele. Last July, Steve & Tonya stayed in the Timbers Suite for their honeymoon for several days. Many of those days they would venture out to the wine areas (just a1 hour drive) and come back with their favorite wine discoveries they bought. One evening they invited Ron and I to join them for some wine and relaxation and we joined them in a bottle of Oregon Pinot (ok, maybe not just 1 bottle!). They shared with us their amazing love story and we really enjoyed getting to know them better. They live in the south and we started talking about food, which is one of our favorite subjects, and how a lot of people in the west have never had grits. Now, I love grits! Throw some cheese and garlic in them and I'm in heaven. Recently, we received a surprise package in our mail. Steve & Tonya surprised us with a couple of packages of some real southern grits and a delicious looking recipe for "Shrimp and Grits". Thank you, thank you, Steve and Tonya. I haven't made the recipe yet, but it looks so good that I thought I would share it with everyone who is reading our blog. If you make it before I do, leave a comment on this blog and I'd love to hear what you think. To make the grits, place a 3 quart pot over medium high heat. Add the chicken stock and bring to a boil. Slowly whisk in the cornmeal. When the grits begin to bubble, turn the heat down to medium low and simmer, stirring frequently with a wooden spoon. Allow to cook for 10-15 minutes, until the mixture is smooth and thick. Remove from heat and stir in the cream and butter. Season with salt and pepper. To make the shrimp, place a deep skillet over medium heat and coat with the olive oil. Add the onion and garlic, saute for 2 minutes to soften. Add the sausage and cook, stirring, until there is a fair amount of fat in the pan and the sausage is brown. Sprinkle in the flour and stir with a wooden spoon to create a roux. Slowly pour in the chicken stock and continue to stir to avoid lumps. Toss in the bay leaf. When the liquid comes to a simmer, add the shrimp. Poach the shrimp in the stock for 2 to 3 minutes, until they are firm and pink and the gravy is smooth and thick. Season with salt and pepper; stir in the parsley and green onion. Spoon the grits into a serving bowl. Add the shrimp mixture and mix well. Serve immediately. Are you an aspiring innkeeper at heart, dreaming about owning your own Bed and Breakfast? 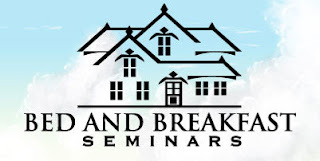 Join us October 18-21 2009 for the Northwest's only intensive Aspiring Innkeeper Seminar! Whether you live in Oregon, Washington, Idaho, California or farther away, join us in the beautiful northwest near Eugene, Oregon for our Aspiring Innkeepers Seminar and Workshops. Your dream of owning a bed and breakfast really can become a reality! Join Diane Emineth & Debbie Dersham at the beautiful Eagle Rock Lodge, near Eugene on the McKenzie River for this intensive 4 day/3 night all inclusive aspiring innkeeper seminar. Don't be taken by surprise. Learn the pitfalls both financial and personal by experienced innkeepers before you spend your life's savings! Make no mistake, owning a bed and breakfast is a business. With every business you need to have a plan, call to action and resources. By taking our seminar you will have made your first investment towards a successful career. How To Develop A Business Plan. Pros and Cons of Purchasing an Existing B&B or Start Up. Financing - How Much Does It Take? What To Look For When Buying An Inn - Profit and Loss/Future Potential. How To Explore Financing Options. Once You Have Your Bed and Breakfast, Now What??? "Build it and they will come?" Not any more!! After you have your inn, learn what it takes to "get heads in beds". We emphasize learning about website design, marketing, PR, photography and how to create an internet presence. CLICK HERE to see many more topics in our schedule.